For CHIME’s Public Policy team, the past few months have been interesting, to say the least. With the new administration comes many questions about the future direction of health IT, and CIOs want answers. There’s where Mari Savickis, VP of Federal Affairs, and Leslie Krigstein, VP of Congressional Affairs, come in. Through advocacy efforts, Savickis and Krigstein are working to arm CHIME’s members with the information needed to keep the trains running during these uncertain times. 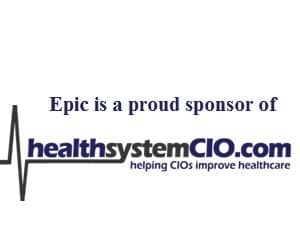 At the HIMSS conference, healthsystemCIO.com spoke with Savickis and Krigstein about their initial impressions of Secretary Tom Price, what they believe will happen with Meaningful Use and MACRA, when they expect things to start moving, and why they’re optimistic about the future. Gamble: I can imagine it’s a strange time right now in the health IT policy world. Would you say that things are in a bit of a holding pattern right now? How would you describe the mood? Savickis: That’s a perfect description. We’re all on the flight deck, waiting to take off. Krigstein: From a Congressional standpoint, they want to work with the new folks who are going to be part of the administration. They’ve spend the first month or so getting some of those folks in line and getting them confirmed, and now they’re talking Obamacare, ACA repeal, the next steps there, and the other issues they want to work on with Representative Tom Price, who is now HHS Secretary, and Seema Verma, who is President Trump’s nominee for CMS Administrator. Everyone is letting things settle a bit, and then we think we’ll see an onslaught of activity. Gamble: What have been your first impressions of Representative Price? Savickis: His staff has reached out and asked about our thoughts moving forward, so that has been a positive. Krigstein: We worked closely with him, particularly on Meaningful Use issues when he was a member of Congress. He signed on to a number of letters and bills that we were in favor of, and asked a lot of questions about things like Meaningful Use flexibility and reporting periods. Being a clinician, he’s worn the hat and been there. And so from a health IT lens, we’re very optimistic about what we may see from him at the helm of HHS, given his Congressional track record. Gamble: I would imagine it helps knowing you don’t have to start from scratch with him. Krigstein: No, and we could have definitely been in that position. With him being very knowledgeable and very active in this issue, I definitely have a certain comfort level. I’m excited to see how things go, knowing some of the positions relating to health IT. Savickis: He’s reaching out, that in and of itself is really helpful. As Leslie mentioned, we have an existing relationship and he has been very engaged with health IT. And we know that a lot of his time will be taken up by things that are well outside the purview of health IT, but because IT is the infrastructure around health care, I think we’re going to keep coming back to the interoperability issues. And of course there’s the 21st Century Cures Act that has statutory deadlines, so I think we’ll still be very engaged. But in terms of timing, if I was to look into a crystal ball, I’d say there are a lot of things that won’t really start moving until the summer. We still have a few months to go. He’s still getting his feet wet, Seema Verma is not in yet, and we don’t have a National Coordinator for Health IT yet. A lot of pieces still have to be lined up, and so by the time the machine is ready to get going, it will probably be summer. Of course, that doesn’t stop us from doing our work behind the scenes. Krigstein: And it doesn’t stop the Hill from taking action. I think there will be some push and pull; it’ll take a little bit longer on the administration side to get fully up to speed, whereas on the Hill there’s been some ebb and flow with timelines and conversations on what they’re focused on, but now it seems like things are really going to pick up in the next few weeks. Savickis: Our folks are looking for certainty. If you talk to any of our members, they just want to know what to expect. And it’s hard to expect the unexpected, so we’re trying to chart what we see as a potential pathway, understanding that things are going to change. It’s our job to try to predict when that change is coming and give them as much notice as possible. Gamble: Was that the impetus behind together the wish list for Secretary Price — to identify what are the biggest priorities from a health IT standpoint? Savickis: Yes. We do an annual survey to take the temperature of our membership and figure out what’s on their mind, and rate them in priority order (although they weren’t listed in that order in the letter). We tried to prioritize our top asks. We can only do so much, so if we get no further than the first page, we’re still happy. We also have Congressional priorities that wrap around many of these administrative issues, and they have to work synergistically. One issue that continues to surprise us — although it is getting more attention, but still not a sufficient amount — is cybersecurity. We probably spend about 50 percent of our time talking about cybersecurity, and so that’s an area where we’re trying to make more inroads with the administration and draw attention to the challenges that our membership faces. Krigstein: To add to that, we heard a lot on the campaign trail about reducing the regulatory burden, and that’s the approach we took in that letter: these are some of the regulatory burdens and some of the actions we’d like to see taken. It was a chance to show where there are opportunities to allow for more innovation and more flexibility. Savickis: Patient identification is another issue that can’t get lost. That’s included in the letter as well; it’s such a pivotal piece to interoperability and that whole conversation. It’s something CHIME just keeps chipping away at, and will continue to do so. Leslie has done a lot of work to try to shine a lot on that on the Hill. And we’re going to continue to try to make inroads with the administration and stress that hospitals can do so much great work, but if they can’t successfully identify a patient at the inception, we’re still going to have challenges. Gamble: As you both had alluded to, there is a lot of uncertainty. Has it been difficult to communicate about the issues and address member concerns, particularly in a climate that has been so divisive? Savickis: There really are two sides of the coin. On the one hand you have to keep the trains running, but on the other hand, there is so much uncertainty. Krigstein: We’ve seen some ebb and flow over the past few months, but health IT has always been a fairly bipartisan issue. And so although the approach may have differed if it had been a Clinton administration in terms of the regulatory scheme that governs IT, we’re still going to move forward on the issues. There’s still going to be progress on MACRA. There’s still going to be a need for value over volume and outcomes, so I think it’s just a matter of making sense of the unknown regulatory structure that might be in place. Even on the campaign trail, President Trump talked about things like telehealth, and so we have reasons to be optimistic when it comes to health IT. And I think there are issues that he and Secretary Price will agree on relative to health IT with Congress. And actually, telehealth came up in both confirmation hearings — for Price and Verma — and so I think there are things to be optimistic about, whether it happens in the near term or over the next three years. Savickis: It’s difficult when you’re on the outside looking in. There’s still a lot of tension. People are trying to read the tea leaves and decipher how to make sense of everything, and we’re stressing to them that the show must go on. You still have to decide when you’re going to engage in a contractual relationship with a vendor or when to make an investment. Hospitals still have to care for patients and they still need technology in place to help do that; it’s just a matter of timing. Health IT hasn’t fallen off the map. That’s where a lot of the question marks come, and that’s why I think we’re in a really interesting place this year. I don’t think there would as much urgency in the messaging that CHIME and other organizations have done if we didn’t have a new administration and a new stage of Meaningful Use starting in 10 months. Savickis: If history is any indication of what’s going to happen, every stage has had some level of delay, and there have been challenges with readiness on both the vendor and provider sides. Because there has been a change in administration, the trains are running slowly. It’s already hard to get things out of CMS in the manner we want — we always want everything faster, but they have to jump through all of their hoops. But this could slow things down even more, and that is a concern. That’s why we’re doing some advocacy early in the year, to try to get ahead of the issues. The providers are on the hook; they have to be in compliance by January 1, 2018, or they’ll either face a diminished reimbursement under MIPS. Gamble: When it was first introduced, that deadline seemed so far away. It’s hard to believe. Krigstein: Exactly. And now it’s 10 months away. If nothing else, these are interesting times. Gamble: For sure. Well, this has been great. I feel like we have a better idea now of where CHIME stands in terms of key policy issues, and when we might get some answers. Thank you both for your time, and I hope to speak with you soon.